Each year as I turn the calendar to September, a sense of NEWNESS fills my soul. New routines. New teachers. Newly sharpened pencils in new book bags, with a renewed dedication to staying more organized THIS school year. Soon (I pray), cooler breezes will greet us as we greet the day, and the fallen leaves will create a colorful blanket on the lawn. This blog, “His Grace Abounds” has been quiet recently, but is it not due to lack of activity; rather MUCH activity has been happening behind the scenes. This fall also brings a new project ~ a redesigned blog that I plan to re-launch in early October! I’ve been working hard with an excellent blog designer who is helping me to renew and expand my blog. As I prayed for direction, I sensed God speaking to me that He has led me into a NEW season; a season of redemption. I’m overwhelmed with gratitude for how far God has brought me and my family: through a cancer diagnosis, cancer treatments, restored health, and now a new home and replanted ministry. HALLELUJAH! Yes, He has redeemed my life, and I feel so called to continue to write, to be used by God to plant His truth and hope in the lives of more women. 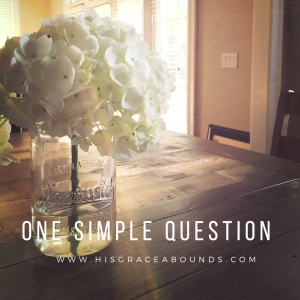 I am writing today with ONE SIMPLE QUESTION. Why am I asking this question? My earnest prayer, and deepest desire is to serve you, my reader as I seek to follow God in using my words for Him. By answering this question, you will help me to better serve you and the other readers in the type of content I offer. PS – be among the first to get news on the new blog by subscribing! It’s simple! Enter your name and email address in the sidebar to the right of this post. I promise to never spam you (at least not on purpose! ), but rather fill your inbox with hope and encouragement. Sweet Beth! I cherish those early years in my crowded living room. God was so very present. 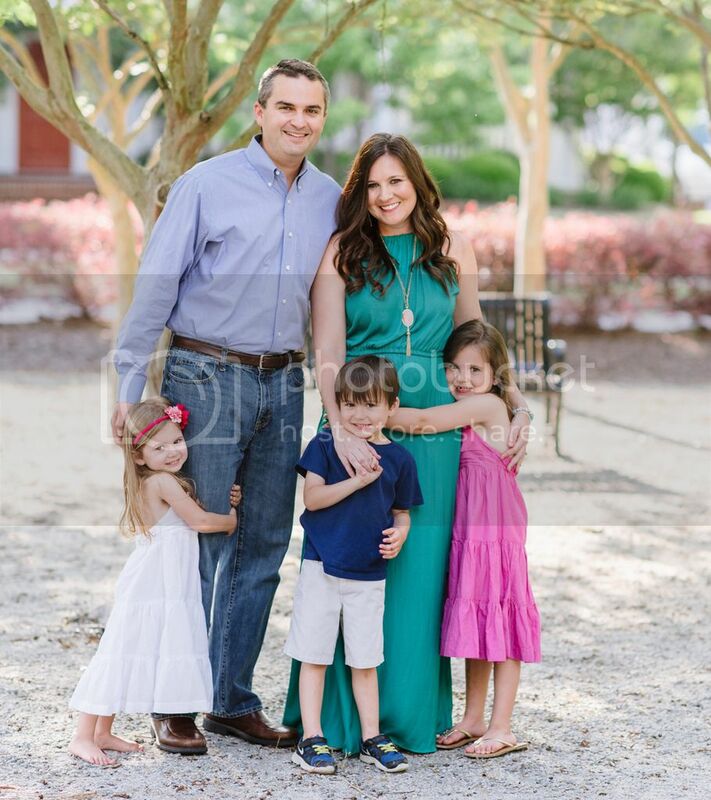 I love seeing how God continues to bless your precious growing family! Love you friend! I can definitely relate~ so many things in life are fighting for my attention each day. It takes intentionality and discipline to draw near so we can live lives of overflow! I am praying for you, sweet friend, and I look forward to seeing how God will move. Grateful for your friendship on the journey! Love you! God is so good! Love you sis! I struggle with Gods purpose and hearing His voice amongst the noise of the world and my own internal desires. I love you sis!! Yes this world and all of the distractions in it (good and bad) can definitely drown out God’s still small voice in my life also. Thank you for sharing!